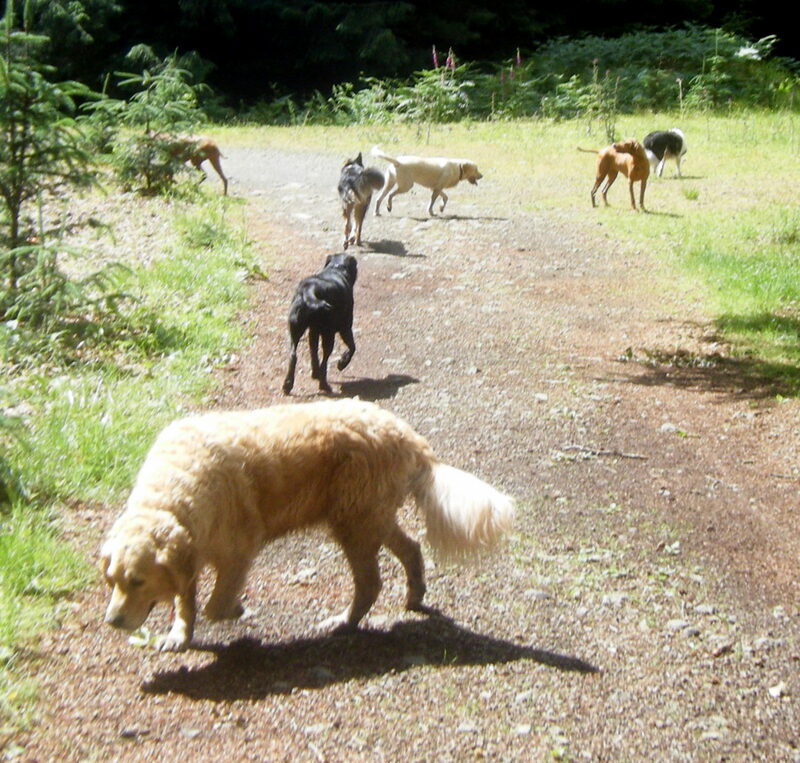 What a great walk today, with all these dogs just enjoying their walk, and playing with each other. With me today were Holly& Ivy (my Vizslak), Gigha & Cara (the retriever & black Lab) Skye & Rocco (the collies) and Jude (the golden Lab). A walk across Dumbrock Moor so that all the dogs that want to can go for a dip at Deils Crag Dam, then back through the forest – perfect!